Dental therapists fall between a dentist and a dental hygienist. 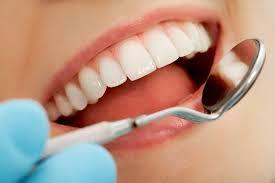 They can provide preventative and restorative care. Hundreds of students in Leon County’s schools are receiving free basic dental care. It’s a joint effort of the school district, the Florida Department of Health in Leon County and the United Way of the Big Bend. A decade ago, a group of providers sued the state, charging Florida’s Medicaid program shortchanged medical and dental care for kids. Proponents said Medicaid Managed Care was supposed to make it better, but five years into the new system, the legislature is poised to remove dental coverage for kids and roll it into a separate program. Governor Rick Scott’s second veto of the year denies money for private dental care in rural communities. The Florida Department of Health has closed a loophole in the state’s healthcare programs for low income families. The Department has made a deal to provide dental services to foster care children in eight counties. Florida dentists are asking lawmakers to fund programs they say will get more dentists to see low-income patients in rural and underserved areas. The Florida Dental Associations wish list includes two main proposals. One is relatively simple. The other, is a little more complex. The first part of the associations plan is to restore a program that provides financial support to dentists to treat patients in underserved areas. A State Representative Filed A Bill That Would Ban Abortions Once A Heartbeat Is Detected. Update 2/26/19: Two Republican state lawmakers wants to ban abortions in Florida once a heartbeat is detected. Rep. Mike Hill (R-Pensacola), first filed the bill making it a third-degree felony for any physician who violates the proposed law. On Feb. 7, Republican Sen. Dennis Baxley (R-Lady Lake) filed a companion measure in the Senate. “It’s time for us to face our history of the last 46 years and the 60 million faces of our offspring that we have extinguished. The heartbeat has always been the clear signal of the presence of life, and that life must be protected," Baxley said in a written statement sent from his office. He noted a similar proposal was passed in Ohio last year but was vetoed by that state's governor. A law that went into effect last July requires medical providers to check a statewide database before prescribing opioids for patients. Now, lawmakers are being asked to consider an exemption for doctors whose patients are terminally ill. The law, known as House Bill 21 (HB21), targets controlled substances that are labeled as Schedule II or higher. That includes painkillers like OxyContin and codeine. These drugs are classified as having a high potential for abuse.